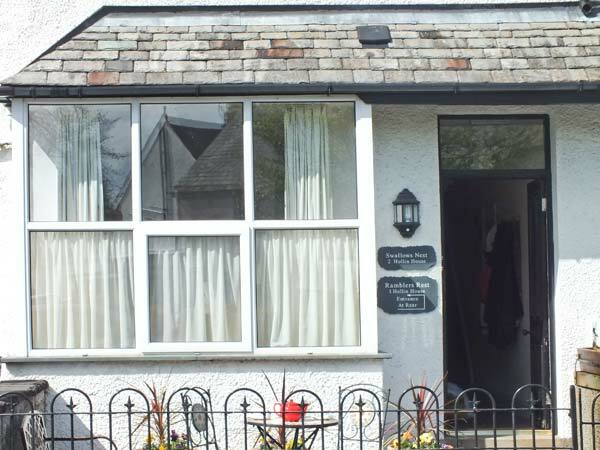 Swallows Nest is a lovely first floor flat in Coniston. With a king-size double bedroom and its en-suite, it sleeps two comfortably. The open-plan living area comprises a kitchen, dining area and sitting area, while outside there is a patio with furniture and roadside parking. Swallows Nest is just five minutes' walk from Coniston Water, and with the Old man on Coniston close by, there is great walking in the area. Gas central heating with electric fire. 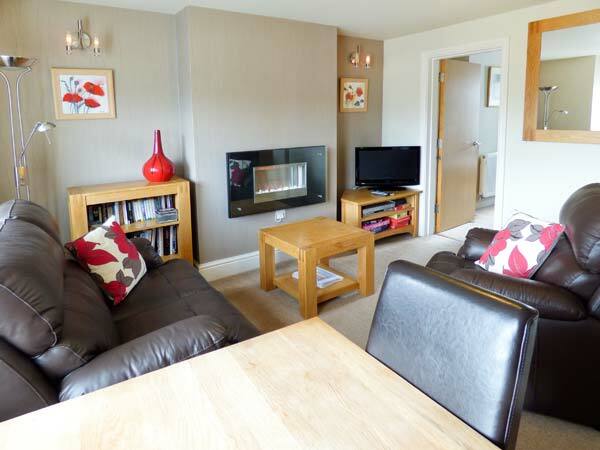 Electric oven, gas hob, microwave, fridge, washer/dryer, dishwasher, TV with Freeview, DVD, CD, radio, WiFi, selection of books and games. Fuel and power inc. in rent. Bed linen and towels inc. in rent. Roadside parking available. Lockable bike storage. Patio with furniture. Sorry, no pets and no smoking. Shop and pub 2 mins walk. Coniston Water 5 mins walk. Note: This property accepts guests aged 18 and over only. Note: Shared entrance with Ref. 922442. Note: this is a first floor apartment reached by one flight of stairs and is not suitable for people with health and mobility issues Note: This property can only accept holidays that start Friday or Monday.